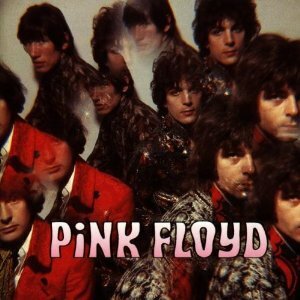 One of the perennial great British rock bands, Pink Floyd have long been the favourite of ‘serious’ album fans the world over, and my recent re-introduction to their canon felt like a good subject for discussion. I personally cite their early ‘60s incarnation as my favourite, far removed from the long slow soundscapes of later years, but I’d argue far more edgy and subversive and more engaging for me as a result. 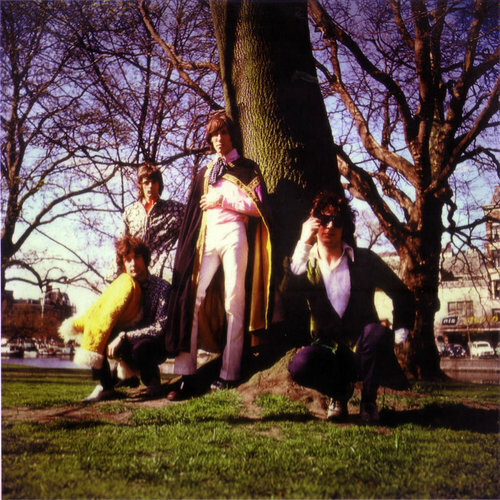 Before listening to their debut album, there’s nowhere better to start than “Arnold Layne”, which is a great single and a decent example of British psychedelia. Us Brits were arguably always more surreal and witty with our pop music and our version of psychedelia has a different feel to it than the sun kissed visions that came out of California. Like much Brit Pop the subject matter is more down to Earth (although absurd and amusing), but all wrapped up in a wonderful trip down the rabbit hole. I also love “Candy and a current bun”. You can already practically hear Syd Barrett’s mind heading for the funny farm. It always reminds me of something by Blur (which is very telling, as Syd-era Floyd was one of their influences. I still think there are huge similarities between “See Emily Play” and Blur’s 1991 hit “There’s no other way”). Perhaps more than Sgt. Pepper, Floyd’s debut album The Piper at the Gates of Dawn takes me back to 1967 as if I’d lived through the whole flowered up era. They were strange times, when the dream of change was a creative urge as well as a humanitarian one, and the times were buzzing with the possibilities. There was also a retreat into a kind of re-imagining of childhood, were elves and fairies danced side by side with an idealised vision of the past (for example, Victoriana became quite trendy in the late ’60s). An interest in all things green and ecological was also part of the dawning of Aquarius, and was a nice foil to the plastic and chrome, mini-skirted vision of the ’60s. Times that were a changin’ indeed. Without digressing into social commentary about the time, it is worth noting how difficult it is for me to listen to Piper without it evoking a sense of what London may have been like in 1967. Therein is part of the record’s appeal (and perhaps why some people don’t like it). It’s a dated album, in many respects, but that is not necessarily to its detriment. Listening to Piper is the aural equivalent of looking into a kaleidoscope glass and turning the tube- it’s a disconcerting, surreal and odd experience, but wonderfully dazzling, creative and full of sudden bursts of joy. Probably rather like the late 1960s themselves for many of a certain age. This is pop music as an acid drenched, optimistic run around the blooming garden of rose tinted fun, yet with a very subtle edge of dark that returns in some of the other tracks. It makes this an essential record of that summer of ’67, because underneath all the clichéd aural trappings of the time is a genuinely tuneful and innovative record. Besides, many of those ’60s psychedelic rock clichés were probably invented by bands like Floyd! However the next track fully writes the album back into my good books.”Take up thy stethoscope and walk” has a great introduction with the catchy exclamations of “Doctor? Doctor! ?” and is a catchy tune, and it even turns into an indulgent but engrossing keyboard psych-out. This does prepare for “Interstellar Overdrive” though- a track which occasionally skirts the edge of mediocrity, yet remains one of Pink Floyd’s classic early recordings. It’s rather rough round the edges but its experimental nature is the point I guess, and I’ve never heard two recordings of it sound the same. Its main riff is infectious and strangely dangerous, putting it in nice juxtaposition to the album’s more twee elements. This isn’t, in my view, the best recording of the piece (I prefer the one on the “Let’s all make love in London” soundtrack) and there may well have been unrecorded performances of this from the legendary UFO club and similar which might top even that. After “Interstellar Overdrive” the album almost runs out of steam, but not quite. A more pastoral and twee side of Syd Barrett is revealed in the catchy sing-along of “The Gnome”, the dreamy oddness of “Chapter 24” and the rural tripiness of “The Scarecrow”. Finally comes a song that tends to polarize many Pink Floyd fans- “Bike”. Personally I think it’s one of the most delightfully absurd and insidiously catchy tunes from the album. The line “I’ve got a cloak, it’s a bit of a joke..” makes me smile every time. The album ends with the sound of ducks quacking. Or at least I think they’re ducks; it’s sometimes difficult to tell with The Piper at the Gates of Dawn. Familiar sounds weave in and out of a musical canvas that can be simultaneously joyful and mildly unsettling. Very few records as commercially successful as this capture the underbelly of the ’60s summer of love. It’s slightly twisted and in danger of losing itself in its own pretentions and drug induced madness. The record never quite does, but Syd Barrett evidently did, and I don’t think he ever found that part of himself again. This is very much Syd Barrett’s record, and I think the band were temporally lost without his guiding light. Sadly it’s a light that was already dimming as 1967 turned into ’68. Unfortunately it appears Syd was predisposed to the kind of mental illness than psychedelic drugs could only aggravate. Piper is drenched in not only the imagination of Barrett but also in the odd magnification that LSD gave to it. However a trip this wild needs a plan for getting back and perhaps Syd never did. The tracks where the other band members are more involved are not my favourites (with the exception of “Interstellar Overdrive”) and it’s the Syd penned tunes (which are largely the majority) that have my greatest affections. By the standards of its time and its legacy of influence, The Piper at the Gates of Dawn is, I think, a remarkable record from a remarkable time. Band members Nick Mason, Roger Waters and Richard Wright would all go on to produce more commercially successful albums than this (and with the arrival of Dave Gilmour, Syd’s days in the band were numbered). Pink Floyd would eventually became an arguably more accomplished and universally revered band, but I don’t think they ever again quite managed the wonderful walk into the world of the whimsical that was Syd Barrett’s calling. Syd wasn’t a genius, but without his exceptional talent the world of pop and the band he started would have been far worse off without him and his all too short recording career.